Microsoft Surface Book is the most powerful laptop lineup from Microsoft that is designed to deliver incredible performance and versatility to meet the demands of professional creative works. It comes with the most cutting-edge technologies including the 100 percent sRGB PixelSense™ display, Windows 10 Pro, all-day battery life, and the latest processing components. And the 12 hours of battery life will also let you get through your working days without charging. However, it’s still a good idea to fully charge your Surface Book to make sure it’s ready for any kind of workloads you’ll encounter during the day. 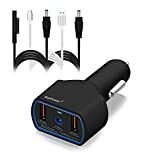 If you’re frequently on a business trip or commute between home and office, you can pick up a car charger for charging your Surface on the go. To help you in deciding which car charger is suitable for your Surface Book, here we’ve listed some of our favorite Surface car chargers range from the most powerful, affordable, and the universal ones. Fast charge all your Surface Book with 12-15V(max 95W) for Surface devices. 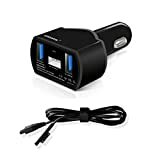 If you want the most powerful Surface car charger looks no further than this 120W car charger from BatPower. The BatPower is one of the most well-known companies which produced a range of high-quality Surface charging accessories including the external power pack and wall charger. With the maximum power rate of [email protected], it can fast charge your Surface Book and the most power hungry Surface Book 2. It can deliver up to 95W of power which is equivalent to the power of the original Surface Book with Performance Base power supply. It can deliver up to 60W of power which is equivalent to the power of the original Surface Book (with Nvidia GPU) power supply. 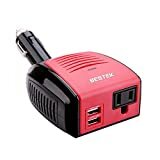 If you have more than one Surface wall chargers at home, you might just want to grab this power inverter so you don’t have to worry about which car chargers you need to buy for your Surface Book. This BESTEK 150W is more than powerful enough to power most of the Surface power supplies available in the market. One of our favorite car charger for Surface Book is the Surface car charger from KINGDO. It follows the same specifications of the original Surface Pro 3/4 charger which have both Surface’s charging cable and a USB port for charging your Surface and a smartphone at once. 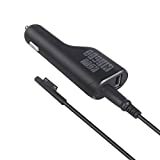 If you want a very basic car charger for your Surface Book at a very affordable price, you might want to check out this Surface car charger from E EGOWAY. It comes with a solid build quality and an undetachable Surface charging cable. An indicator light is also available when the charger is properly connected to the car cigarette lighter socket. It offers a standard power rate of Surface Pro 3, Surface Pro 4, and Surface Book (without Nvidia GPU) charger specs with a [email protected] (31W) output. It means that it can charge your Surface Book (without Nvidia GPU) at a regular speed including the Surface Book (with Nvidia GPU) and Surface Book with Performance Base when aren’t in under heavy uses. There is some information that you need to know when you want to pick up a right car charger for your Surface Book. 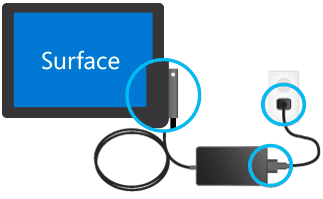 1How can I charge my Surface Book? You can charge your Surface Book by using the OEM charger came with your Surface Book –Plug the charger to the power source and plug the Surface Connect connector to the charging port on the right side of Surface Book. It’s a magnet and reversible connector and it’s an official and recommended charging method by Microsoft. 2What power supply that comes with Surface Book? Compatible with: Surface Pro 3, Pro 4, and Surface Book (without Nvidia GPU). Compatible with: Surface Book (with Nvidia GPU). Compatible with: Surface Book with Performance Base. 3Is Surface Book compatible with a charger with 12V output? For best charging performance, you should pick up a 15V output charger or power supply. However, practically you can also charge your Surface Book with a power supply with the 12V output. 4What is the pros and cons of using DC-AC power inverter for charging Surface Book? We appreciate hearing your thoughts, questions, and ideas about “The Best Microsoft Surface Book Car Chargers in 2019”. Please post respectful comments and on topic. We will be replying back to you as soon as possible. 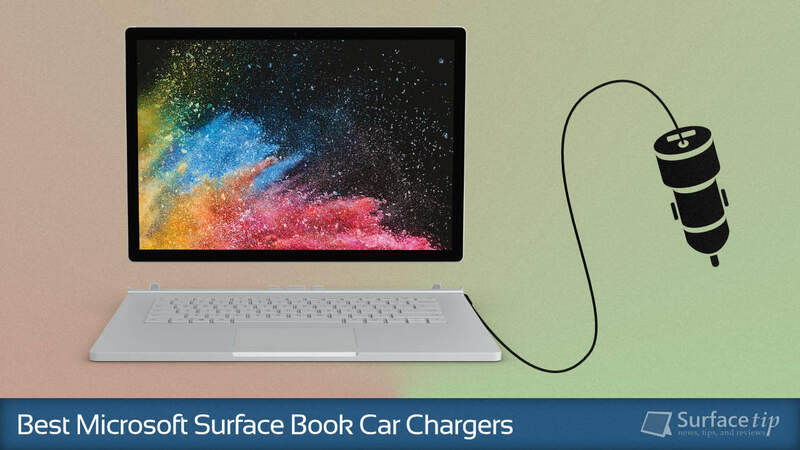 Share your idea about "The Best Microsoft Surface Book Car Chargers in 2019".